Anytime is the right time to make up S’Mores for your family . . . friends . . . and guests!! I got thinking about BBQ-ing, camping, sitting around a firepit in your own backyard . . .
You don’t necessarily need a campfire to make S’Mores . . . they would definitely taste as sweet . . . and you can tell some scary ghost stories, too. I would think S’Mores and Ghost Stories would be a winning combination!! I do have a lovely selection of recipe books for you to check out. They have S’More recipes that will give you a new recipe throughout the summer . . . And, I can imagine that some of these recipes will get you thinking of some variations of your own. That would truly be excellent!! 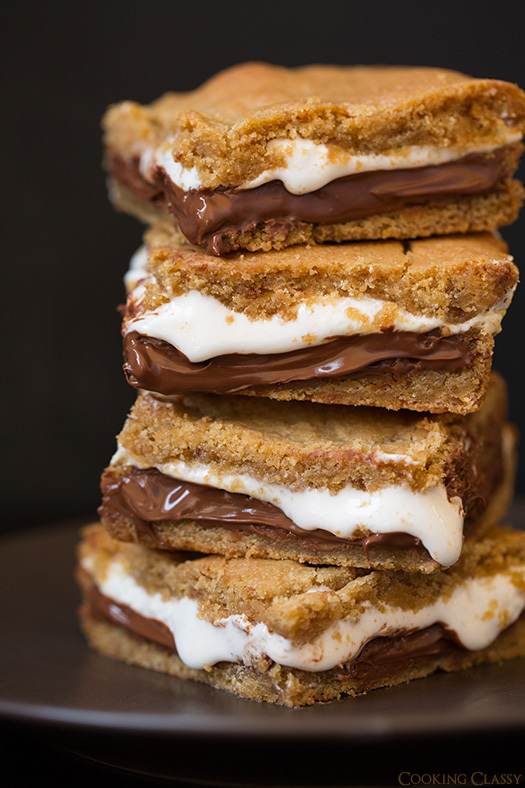 I believe there are more books of S’More Recipes, but this will definitely get you started!! I hope you’ll have a fun time with many of these recipes!! I was thinking that maybe I got ahead of myself . . .
S’Mores have been around for decades . . . but there could be some youngsters who have never heard of S’Mores and never tasted one!!! I know it may be difficult to believe . . . but it could very easily be true! I feel absolutely duty-bound to enlighten those unfortunate ones. It is so very easy . . . and so very delicious!! Oh! While I have room here . . . I should tell you a short ghost story to can enjoy with your S’Mores . . .
A young woman was driving home late one night after a short visit with friends. She noticed she was running low on gas and saw an old rundown gas station ahead. She debated with herself whether to stop or not, but she was running low on gas and didn’t want to run out and get stranded. A man with a scarred face came running out and pumped her gas for her. She rolled down her window just enough to give him her credit card. He took it and ran back into the “office area”. He ran back and told her she would have to come into the office because her credit card had been declined. The young woman couldn’t understand why her credit card had been declined . . . so she got out of her car and went into the office with the scarred faced man. The man was very excited and had a difficult time talking — perhaps from the accident that scarred his face . . . When he grabbed her arm . . . the young woman jerked away and ran out of the office and into her car and drove off as fast as she could. She saw some movement in the backseat . . . there was a man with an axe . . . That was the last thing she saw . . .
Evidently the man at the gas station was trying to warn her . . .
With the recipe books above, you can create an assortment of S’Mores and also create some of your own. It’s always fun to gather up other ingredients you may find that would go well with chocolate and marshmallows. You may want to add different candy pieces . . . maybe some nuts . . . or crushed up cookies . . .
Are you thinking of different combinations? I remember a long time ago how when one was to host a party, there needed to be a blend of sweet and salt . . .
That may sound disgusting, but please allow me to explain . . .
hose cheese fishes . . .
It’s just a choice thing as I understand it. The same can definitely be done when you create your own S’Mores . . . Just remember that not all combinations will be a pleasing taste sensation . . . If you’ve been following my blog for any length of time, you may have noticed some subtle changes from time to time — with the usual result of my changing everything back. I’ve had this domain name since 2012 and during this 6 year period I’ve made some changes — some good, some not so good . . . So, I’ve been doing some serious thinking . . . and not wanting to go too far out on a limb, but to make some major improvements . . . Which could make or break this website. Lately, I’ve been having difficulty adding content . . .
I’m going back to my childhood and using two cans on a string . . . When we lived in San Diego, California Dorothy and I had a hedge dividing our front yards. It was no big deal, we could walk along the sidewalk to get to each other’s house . . . but it was fun to sit in next to the hedge with our two cans on a string and talk back and forth . . . Yes, we were actually talking through the hedge, but having the cans placed as they were, we pretended to have our own private communication system. We talked about school, the books and comics we’ve read . . . what we had for dinner . . . our favorite foods . . . holidays, vacations, just about everything kids talked about . . . This got me thinking of this website and what you’re talking about and what interests you the most . . .
And I got thinking of what rules my life . . . grocery shopping and recipes and having something different to eat . . . food is a major big deal in our lives and for special occasions . . . I thought about how I’ve neglected recipes for quite some time . . . But we gotta eat!!! But writing out recipes is boring . . . I do have fun with them, but they do take time and I’m not really into it . . . but I’d like to be . 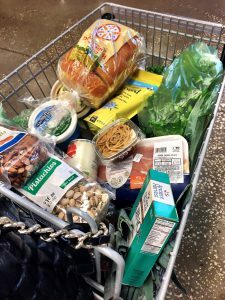 . . I’m finding I’m kind of in a rut with my eating and food selection . . . So . . . I’ve had this brainstorm which gets me revamping my website once again . . .
I’ve always wanted to organize my recipes. Have all my S’Mores recipes where I can find them easily . . . and the number of Christmas Cookie recipes I can have for Cookie Exchanges . . . which could take place at any time of year. And the different types of snack foods . . . We always need snack food . . . This got me thinking of different categories of food . . .
I’m leaning in this direction . . . but nothing is going to be done until I truly decide what would be best for this website and get some feedback from you. I do have research to do and much to learn regarding building websites and making them work best. There are lots of resources available . . . and I’m thinking of trying out a few things for this website and the two other ones I have. And my experimental site will be a domain name I’m not currently using. I’m finding it best to do that than mess up my existing websites. I do love my Sizzix Big Shot Cutting/Embossing Machine with the Extended Multipurpose Platform. What I especially like about this machine is that it is portable and it needs no electrical outlet, no batteries and not plugged into an electronic device. It is completely portable with a hand crank. I can set it on a work surface to do my die cutting and embossing in my craft room, on the patio, in my dining room, anywhere I choose to work. Portable shape-cutting and embossing roller-style machine. Create your own greeting cards, invitations, gift bags, boxes, scrapbook pages, home decor items, etc. I’ve had mine for 2 years and I have absolutely no complaints. The extended platform comes in handy for larger dies and an assortment of smaller ones to get the die cutting done quickly, easily and efficiently. This along with my Silhouette Cameo allows me to take my paper crafting to a new level. 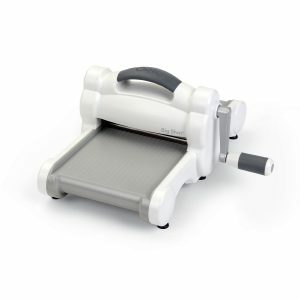 Every craftroom should have a Sizzix Big Shot Cutting/Embossing Machine — the Extended Multipurpose Platform is a definite bonus! !